The city annually inventories cracked or offset sidewalks in need of repair or replacement. City crews perform sidewalk grinding every year on trip hazards that are found on sidewalks around the city, however, some sidewalks are damaged too extensively that grinding is not a preferred or effective rehabilitation option. City ordinances require a 50/50 cost share with the adjacent property owner for the removal and replacement of any public sidewalk in the city. This repair work takes place annually as the budget allows. Call the street department at 715.258.4421 to be added to the sidewalk repair list. 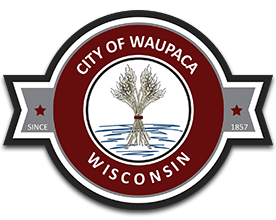 To report a non-operating street light you can utilize the citizen service request form located on the city of Waupaca website http://help.cityofwaupaca.us or by calling City Hall at 715.258.4420. Most street lights in the city are owned and operated by Wisconsin Public Service.